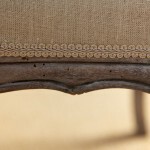 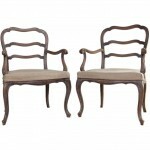 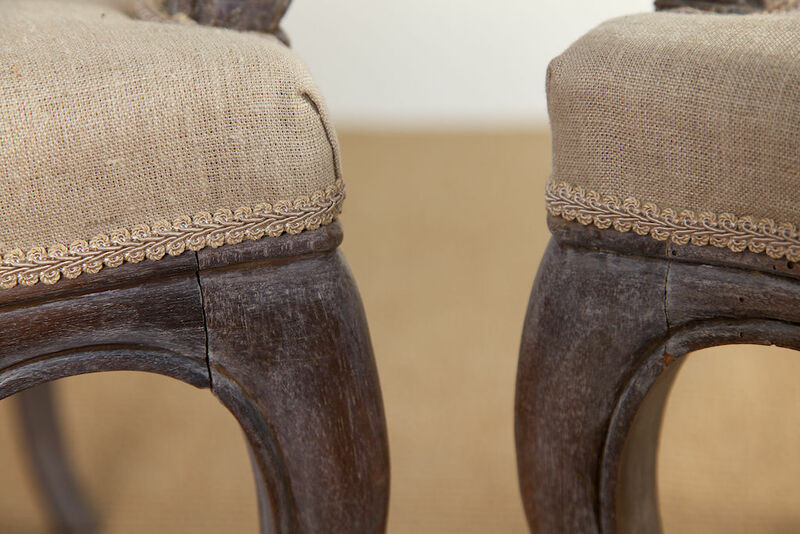 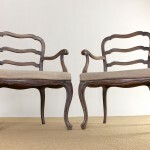 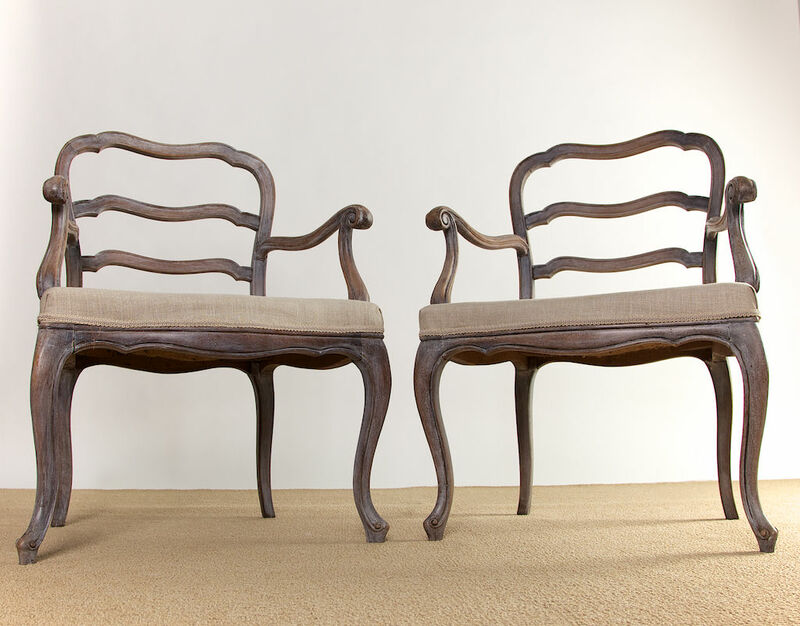 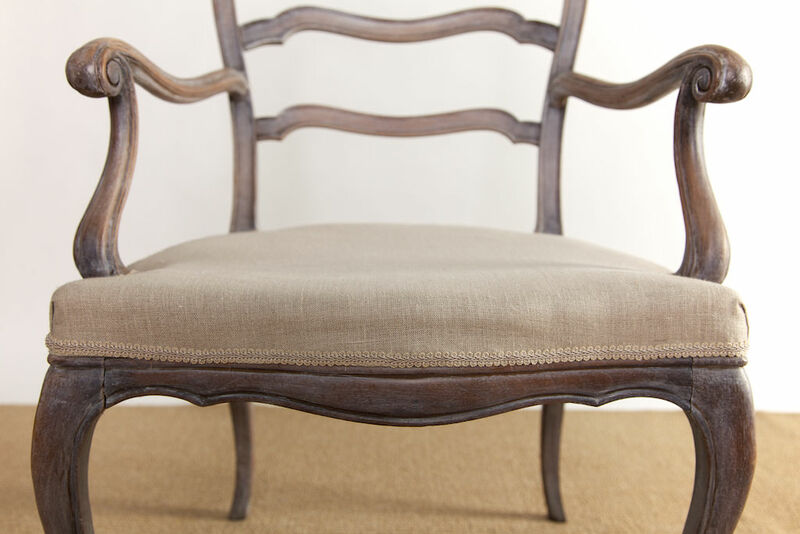 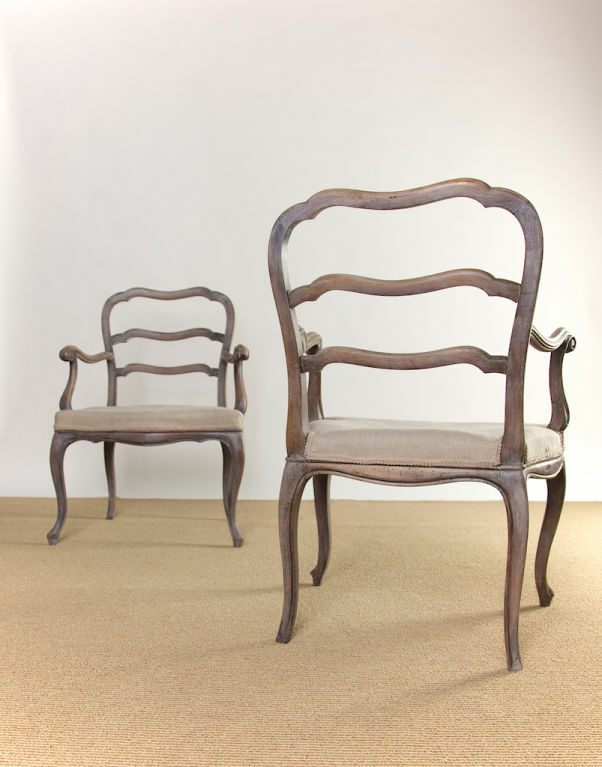 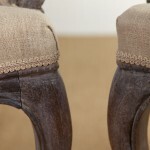 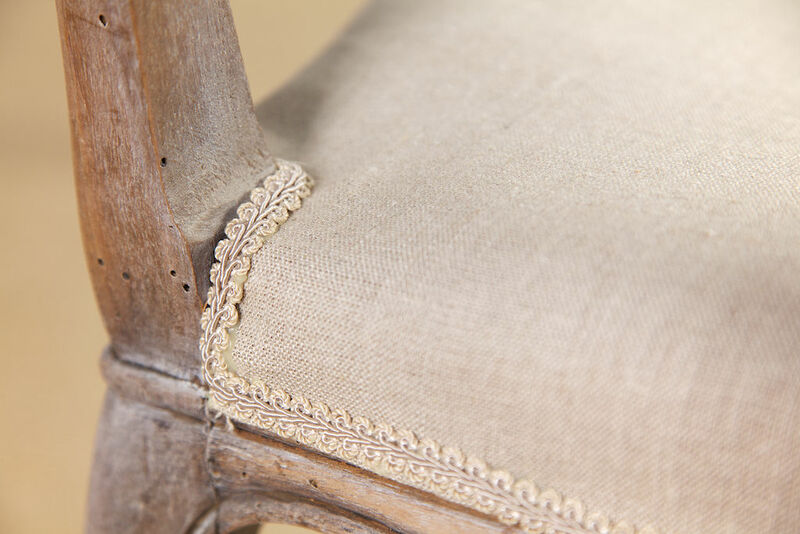 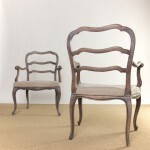 Decorative pair of side chairs with hand-rubbed, lime-waxed finish. 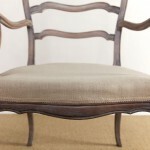 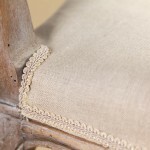 Seating is covered in a light grey linen fabric. 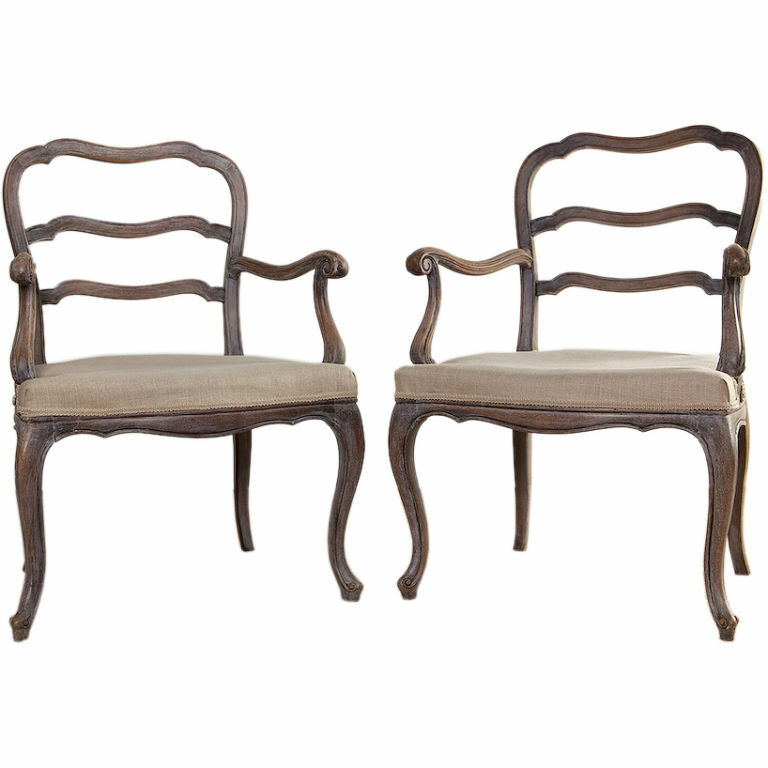 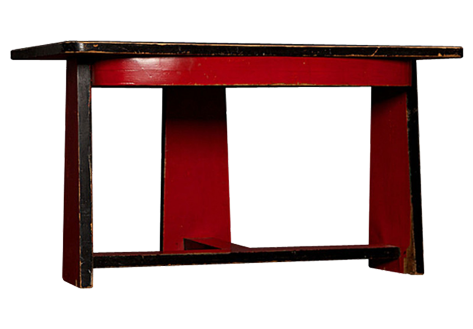 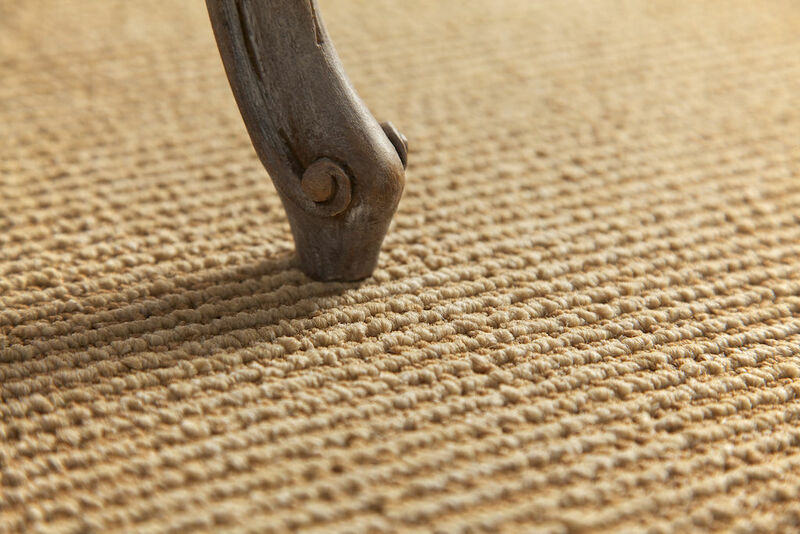 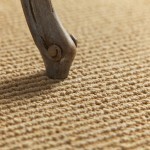 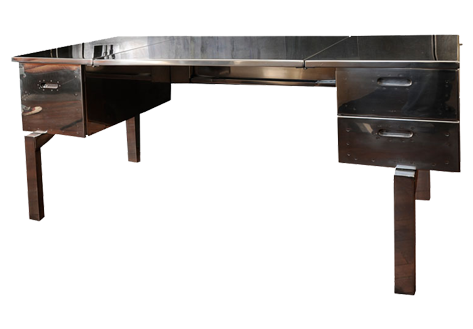 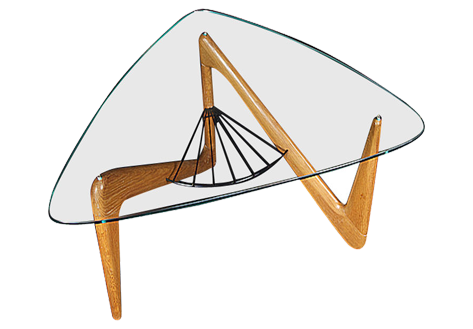 Shapely scrolled arms and gently curved legs makes these sturdy-but-delicate. 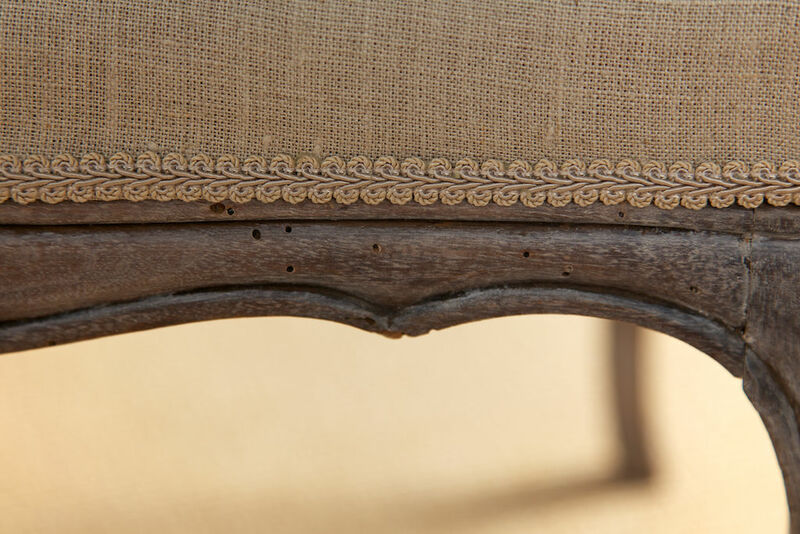 Wormholes visible indicative of 19th to earliest 20th Century European wood.